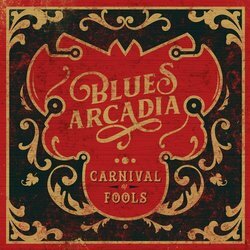 Combining the legendary soul of the Stax and Motown era with the burning heat and power of the Chicago and Memphis blues, Blues Arcadia deliver an uninhibited old-fashioned soul stomp revival. Their raucous live shows are establishing them as Australia's most electrifying blues/soul outfits with standout performances at festivals including Woodford Folk Festival, Gympie Muster, Thredbo Blues Festival and Blues On Broadbeach. Debuting in 2016 with an eclectic self-titled EP that reached #2 in the Australian Blues and Roots Airplay Charts, they picked up a 2017 Australian Blues Music Award for Best New Talent and an Australian Roots Music Award nomination. 'Remedy', their 2017 single was one of Australian Community Radio's top ten most played tracks on release and was a finalist in the International Songwriting Competition. With collaborators and partners-in-crime Jeremy Klysz (bass), Parmis Rose (keys) and Casper Hall (drums) the songwriting partnership between Chris Harvey (guitar) and Alan Boyle (vocals) continues to go from strength to strength. Their new full-length album Carnival Of Fools pushes the boundaries of their unique dirty-soul sound even further, capturing all the passion and excitement of their live shows. Inspired by the classic rule-of-three used by '70s funksters The Meters in 'Africa', and an eclectic mix of southern rock and Stax by way of Otis Redding's 'Hard To Handle', this tune is raw, catchy, heavy on horn lines, rhythmic punch and attitude - it's a perfect get-up-and-dance song. Lots of harmonic flavour topped with some special Freddie King sauce.